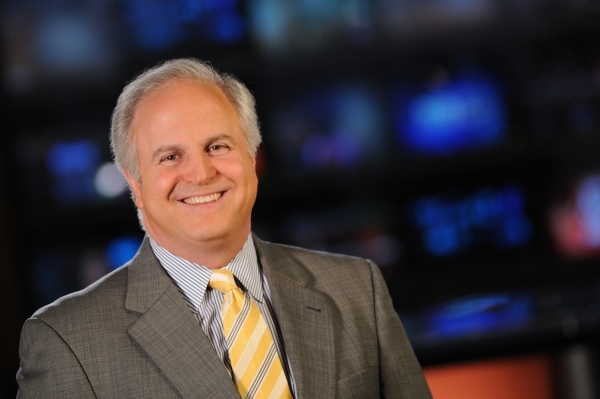 Bill Pepin, Vice President and General Manager of Nexstar Media’s WWLP-TV in Chicopee, MA was named 2017 Broadcaster of the Year by the Massachusetts Broadcasters Association (MBA). The award, the Association’s highest honor, was presented at Sound Bites, the MBA’s awards night on Thursday, November 2, 2017 at Sheraton Framingham Hotel and Conference Center. Pepin began his broadcasting career while still in high school, working for a WREB-AM radio in Holyoke. He began his career with WWLP in 1969 working in production, on-air as a weathercaster, and in management. 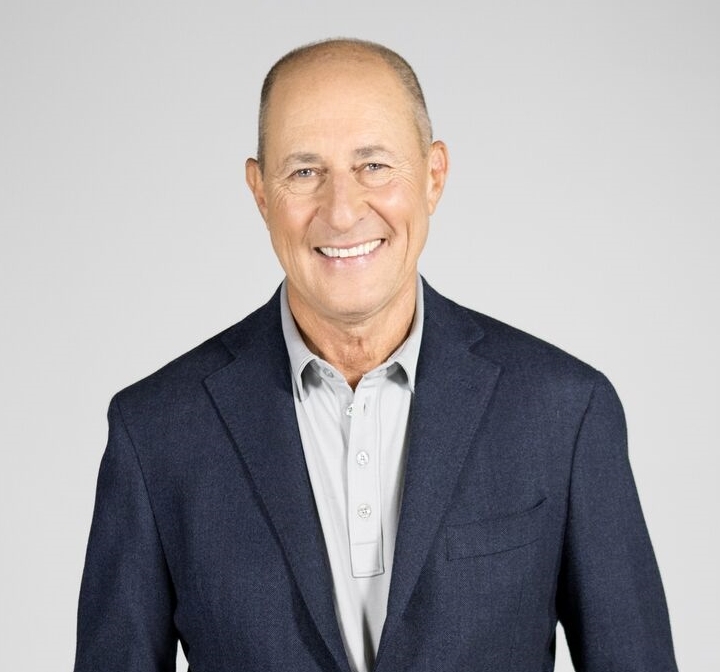 In 1978, Pepin moved to Salt Lake City, Utah to serve as Vice President and General Manager of WWLP’s sister station KSTU, becoming the youngest television GM in the country. Pepin returned to Massachusetts and WWLP in 1981, assuming the position of General Manager. Under his leadership over the past 35+ years, WWLP has been an innovator in the market and the station has maintained dominance. Being actively involved in his local and broadcast communities has been a staple of Pepin’s career. He has been or is currently a board member of the Greater Springfield Chamber of Commerce, the Western Mass. Economic Development Council, the MA Society of Prevention of Cruelty to Animals and more, including serving as Chairman of the Massachusetts Broadcasters Association from 2007 to 2009. Bill is an active traveler along with this wife Marlene. They have journeyed through Europe, Asia, South Africa and parts of the Middle East. He is also an avid boater, traveling up and down the U.S. east coast and the Caribbean. Bill Fine, President and General Manager of Hearst Television’s WCVB-TV was named 2016 Broadcaster of the Year. Candy O’Terry, respected Boston radio personality and advocate for women in media, was named the 2015 Broadcaster of the Year by the Massachusetts Broadcasters Association (MBA). The award was presented at Sound Bites, the Association’s awards night on Thursday, November 12, 2015 at Sheraton Framingham Hotel and Conference Center. O’Terry began her career in music by fronting a local band. When she became a single mother, she realized she needed to find a full-time job. The Boston College graduate enrolled in the Connecticut School of Broadcasting and after graduating landed her first radio job at Magic 106.7 in Boston. Throughout her 25 years at Greater Media, she held many positions; Programming Assistant, Program Coordinator, Afternoon drive traffic anchor, weekends, interim Music Director, Assistant Program Director and finally as co-host of Morning Magic. Her ability to connect with her listeners by sharing the stories of her life make her one of the most real and relatable personalities in Boston radio. In 2012, she co-founded Boston Women in Media and Entertainment an organization dedicated to connect, educate and inspire women in our industry. In the community, she has been a tireless advocate in the fight against breast cancer, serving as the spokeswoman for the American Cancer Society’s Making Strides Against Breast Cancer Walk and other organizations. O’Terry is the fourth broadcaster to be presented with the Broadcaster of the Year award. 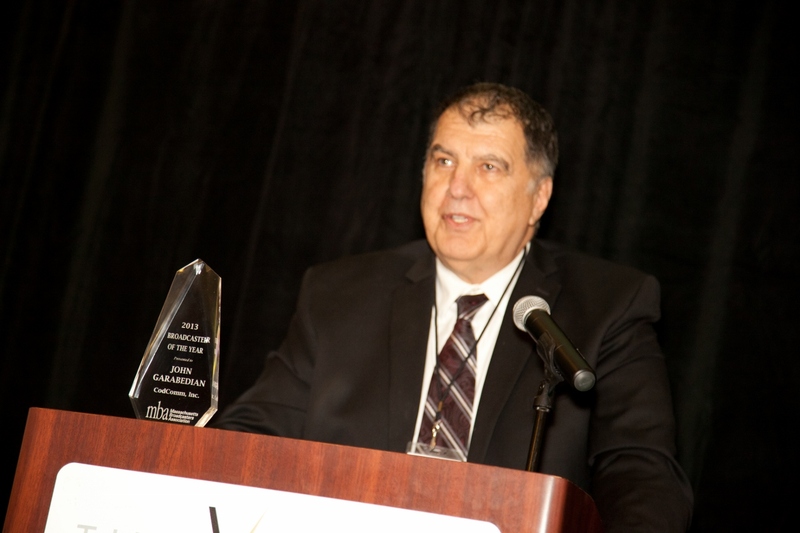 Edward F. Perry, Jr., radio personality and owner of WATD-FM “The South Shore’s Radio Station” in Marshfield, Massachusetts was named the 2014 Broadcaster of the Year by the Massachusetts Broadcasters Association (MBA). The award was presented at Sound Bites, the Association’s awards night on Wednesday, October 29, 2014 at The Verve Crowne Plaza in Natick. Perry’s long broadcasting career began while attending Amherst College as he became a fixture on the radio. Post college, he worked as a writer and editor while also working as a disc jockey in Rhode Island. He found that steady announcer jobs were hard to come by and decided owning his own station was the best way to do it, so in 1973 he applied for a Federal Communications Commission radio license. Years of hard work and perseverance paid off in 1977 when Perry’s station went on the air. The station’s tower sits on a six acre parcel of land next to the town dump, hence the call letters or WATD “We’re At The Dump”. Perry has dedicated his career to making sure his station stays live and local. Not only does his station provide a unique mix of music, news, talk and information but through the Talking Information Center, a statewide non-profit, he provides a reading service to more than 20,000 visually impaired persons in Massachusetts and Southern New Hampshire, and thousands more nationwide. Working with wife Carol, daughter Katherine and son Will, Perry creates an atmosphere of family for all that work at the station. 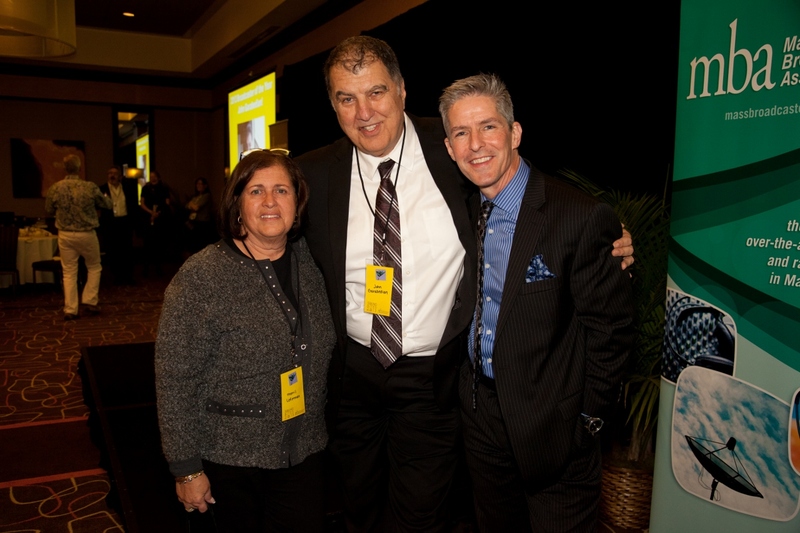 2013: John Garabedian – CodComm, Inc.
John Garabedian, radio personality, disc jockey and host of Open House Party heard on over 150 stations nation-wide, was named the 2013 Broadcaster of the Year by the Massachusetts Broadcasters Association (MBA). The award was presented at Sound Bites, the Association’s awards night on Thursday, November 14, 2013 at The Verve Crowne Plaza in Natick. Garabedian’s illustrious career began as a weekend announcer on WMRC in Milford, and included positions in the 1960’s at Worcester’s WORC, WAFM in Miami, WHYN AM-FM in Springfield, WMEX in Boston, and WFEA in Manchester, NH. From the late 1960’s into the early 1970’s he was the Chief Engineer at WWCO in Connecticut and was an announcer and consultant at WBCN. In 1972 Garabedian founded his first radio station, WGTR, licensed to Natick. Following that he founded WGTF in 1979 as well as WVJV-TV Boston “V-66” in 1984. In 1987, Garabedian created Open House Party – an interactive weekend party show, with a live audience, all- request music, 800 call-in lines, superstar guests and the hottest music in the country. The program launched on Kiss 108 (WXKS), and over the next twenty years, the program grew into a nationally syndicated show, broadcast on over 150 stations in the United States. In addition to the Open House Party, he is the founder and CEO of CodComm, Inc. which runs four FM stations out of Hyannis. Outside of broadcasting, Garabedian is an accomplished pilot and the President of the Cape Area Pilots Association, and also serves on the board of the Massachusetts Air and Space Museum. 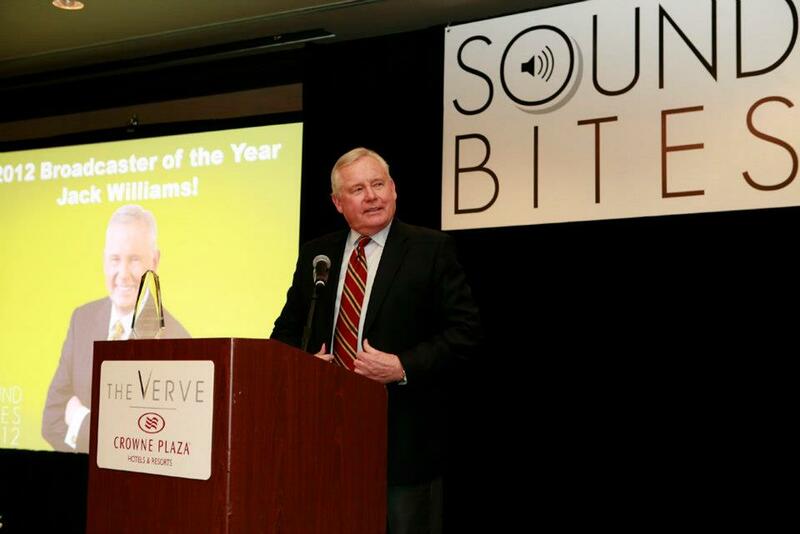 Jack Williams WBZ-TV News anchor was named the 2012 Broadcaster of the Year by the Massachusetts Broadcasters Association (MBA). The award was presented at Sound Bites, the Association’s awards night on Thursday, November 1, 2012 at The Verve Crowne Plaza in Natick. Earlier in 2012, Jack was given the Lifetime Achievement Award from the Radio Television Digital News Association (RTDNA). He was also inducted into the Massachusetts Broadcasters Hall of Fame, and he was one of only five New England journalists to receive the prestigious 2012 Yankee Quill Award which is considered to be the highest individual honor awarded by fellow journalists in the region and is presented annually by the Academy of New England Journalists. During his career Williams has received four Emmy Awards; two for individual reporting for the series “Crisis at Birth” and one for the “Wednesday’s Child” series. In 2001, he was honored with the Governor’s Award from the New England Emmy organization, recognizing his career accomplishments.